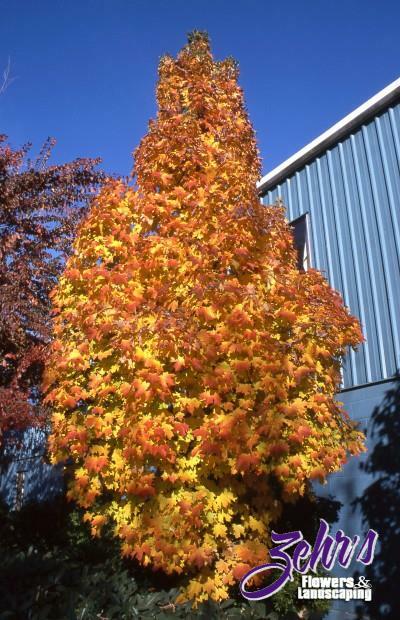 Compact columnar selection of sugar maple with symmetrical growth and dense branching, ideal for limited spaces. Deep green foliage of summer turns an intense array of brilliant orange, red and golden yellow hues. An excellent selection for use as a street tree or in a small urban garden.